We�ve just entered the second half of the first season with our heads up high now that the series Kidding has just been renewed for a second season. Unfortunately, the characters on the show don�t seem to be feeling the same way as this episode shows. Each character goes through some extra baggage that helps add to the character development. In a universe where the real world is less jolly than the TV world, the characters are still as relatable as they get. Vivian still has a short time to live as her doctor advises that she�ll need chemotherapy. However, she says she would rather die quietly than deal with her cancer. But Jeff wants to show her that things aren�t all that bad no matter how bad it seems. He tells her to close her eyes and imagine what she�ll do the next day. She simply mentions that she wants to write a bucket list, but she just gives up. Hoping to lighten it up, he takes her pink sweater and gives it to Deirdre to make something special for his girlfriend. He then tells his sister that he doesn�t want to be replaced by another person putting on his face for an ice show. Upon visiting the ice rink, Jeff sees Tara Lipinski in her giant Mr. Pickles mask giving out his autograph on pickle jars in precise fashion. A young kid tells him that the Olympic gold-medalist used to be a member of the Pickles Patrol in her youth. While talking with Tara, he meets her sister Sara who revealed she started skating to help her deal with her eating disorder. He also meets their pet parakeet that Tara named Tara-keet, and Sara mentions that it suffers from seizures. But after they left, Jeff tries to talk to the bird but ended up getting repeated insults. Angry and frustrated, he pulled a Vincent Price in Diary of a Madman by flicking the lights on and off repeatedly before the bird collapsed to death. Just be sure not to get caught, he dropped some of its feathers on the floor and puts one on the open window sill to make it looked like it flew away. He then confronts Tara by making her remember the Pickles Patrol�s motto, which is �always be yourself.� Suddenly feeling wrong, she gives Jeff back the fake head before he took it to the ice for a little target price. His dad calls him about what he has been doing to try to sabotage the ice show to which he simply responds with the Pickles Patrol motto. 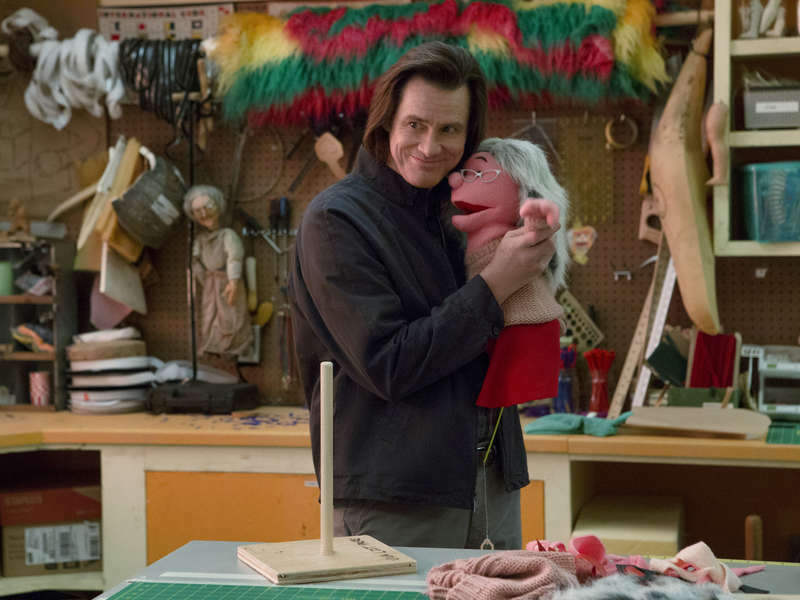 Near the end of the episode, Jeff invites Vivian to the studio before introducing her the new puppet with her pink sweater named Viv the Librarian. The scene then goes to a musical number where Jeff performs a song with the puppets that finally gives her a sense of motivation. When he tells her to close her eyes again and think about what to do the next day, she tearfully says she wants to go to the islands for a vacation and have some fun again. Soon enough, she returns to the hospital for her chemotherapy. It�s worth noting that the episode begins with Will and his friends breaking into his father�s neighboring house at the end of the previous episode. Just before he could light up another smoke, one of his friends realized about the oven is still on because of the gas and quickly turned it off. Because of this near-death experience, it inspired the young kid to try to honor his late twin brother a different way. He went to different girls from school that his brother had crushes on to basically show his own appreciation to them. Meanwhile, Deirdre was getting frustrated with her daughter Maddy playing the clarinet that she went to her daughter�s bedroom and yelled at her to stop playing. This triggers a flashback when she was young making a puppet for her brother only to end up arguing with her mother leaving the house. She then goes back to her daughter�s room to apologize before Maddy reveals that she told her father about his �secret handshake.� If you managed to check out the trailer for the next episode, it�s likely that things will start to go darker from there.